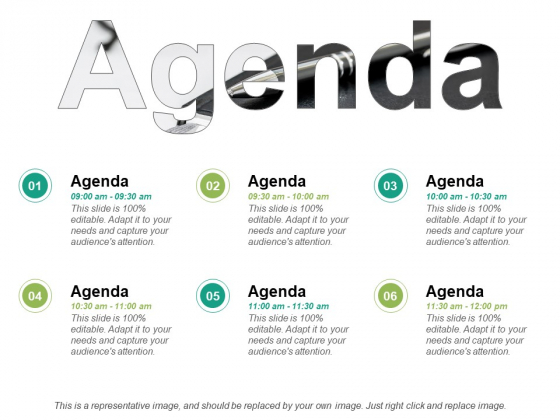 This is a our agenda business ppt powerpoint presentation summary graphics template. This is a six stage process. The stages in this process are business, management, marketing, agenda. 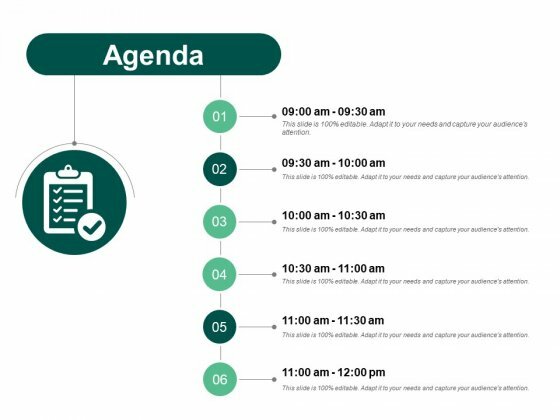 Handle a delicate situation with our Our Agenda Business Ppt PowerPoint Presentation Summary Graphics Template. Just download, type and present. This is a agenda ppt powerpoint presentation model layout. This is a six stage process. The stages in this process are planning, management, analysis, strategy, marketing. 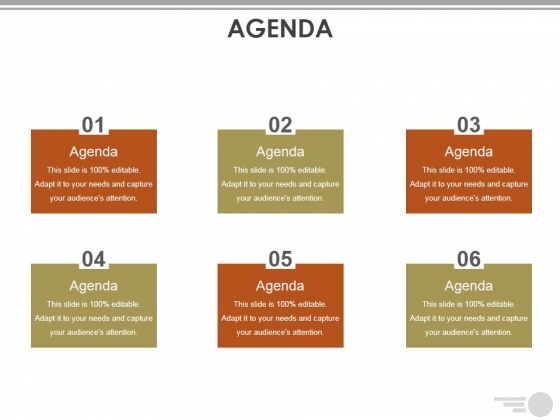 Choose our Agenda Ppt PowerPoint Presentation Model Layout for your campaign. Give your thoughts convincing credibility. This is a agenda business focus ppt powerpoint presentation gallery visuals. This is a six stage process. The stages in this process are agenda, business focus, competitive landscape, brand development, brand positioning. Assist them in making the right choice. 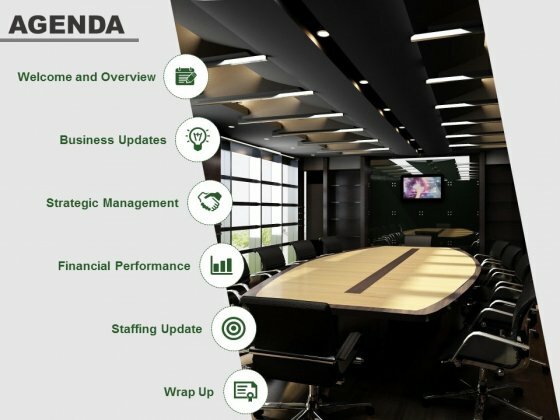 Open up all the cards with our Agenda Business Focus Ppt Powerpoint Presentation Gallery Visuals. 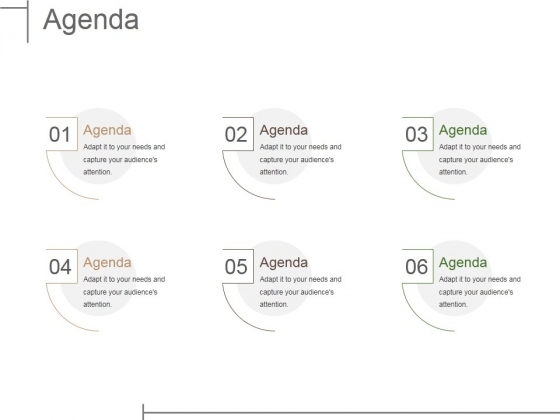 This is a our agenda business ppt powerpoint presentation show smartart. This is a six stage process. The stages in this process are business, management, planning, strategy, marketing. Gain entry into higher circles with our Our Agenda Business Ppt Powerpoint Presentation Show Smartart. Be able to get a look in. This is a learning outline on job training ppt powerpoint presentation infographics information. This is a six stage process. The stages in this process are learning plan, learning agenda, learning points. Create fertile grounds for discussion with our Learning Outline On Job Training Ppt PowerPoint Presentation Infographics Information. Establish conditions for good ideas to crop up. 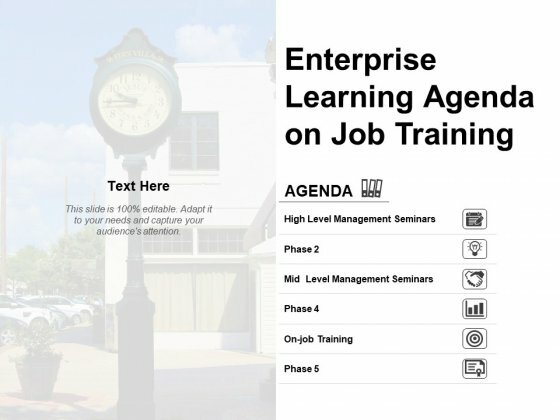 This is a enterprise learning agenda on job training ppt powerpoint presentation infographics summary. This is a six stage process. The stages in this process are learning plan, learning agenda, learning points. It becomes easy to function efficiently due to our Enterprise Learning Agenda On Job Training Ppt PowerPoint Presentation Infographics Summary. It facilitates a high level of consistency. 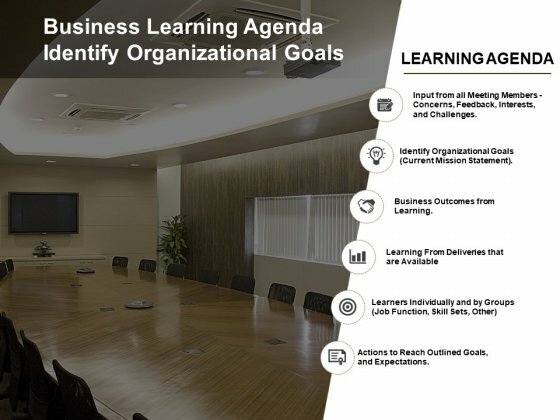 This is a business learning agenda identify organizational goals ppt powerpoint presentation professional outfit. This is a six stage process. The stages in this process are learning plan, learning agenda, learning points. Always function at a high level of efficiency due to our Business Learning Agenda Identify Organizational Goals Ppt PowerPoint Presentation Professional Outfit. Impress folks with your consistency. This is a agenda marketing management ppt powerpoint presentation infographics portfolio. This is a six stage process. The stages in this process are marketing, business, management, planning, strategy. Excitement builds up to do the job due to our agenda marketing management ppt powerpoint presentation infographics portfolio. Folks forget about lounging around. This is a agenda ppt powerpoint presentation inspiration show. This is a six stage process. The stages in this process are agenda, business, management, marketing. Display a high level of fashion consciousness with our Agenda Ppt PowerPoint Presentation Inspiration Show. Insist on being contemporary. 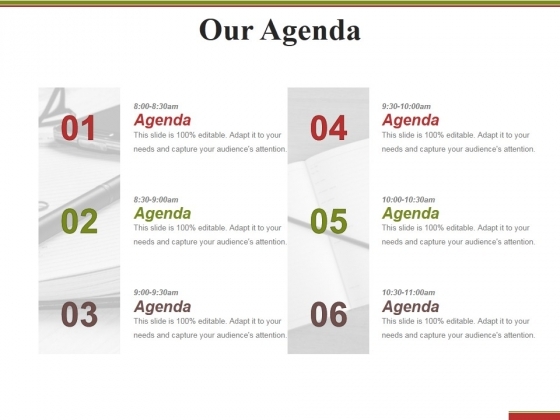 This is a agenda bizbok business design ppt powerpoint presentation layouts professional. This is a six stage process. The stages in this process are business, management, strategy, analysis, planning. Folks like looking around due to our Agenda Bizbok Business Design Ppt PowerPoint Presentation Layouts Professional. They find a host of endearing images. This is a agenda ppt powerpoint presentation summary ideas. This is a six stage process. The stages in this process are business, planning, agenda, marketing, management. 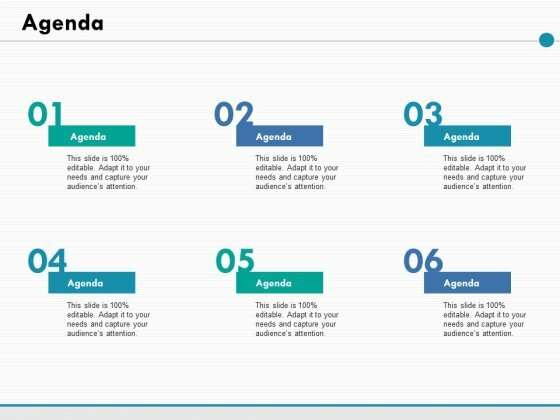 Become popular for your presentation skills with our Agenda Ppt PowerPoint Presentation Summary Ideas. You'll always stay ahead of the game. 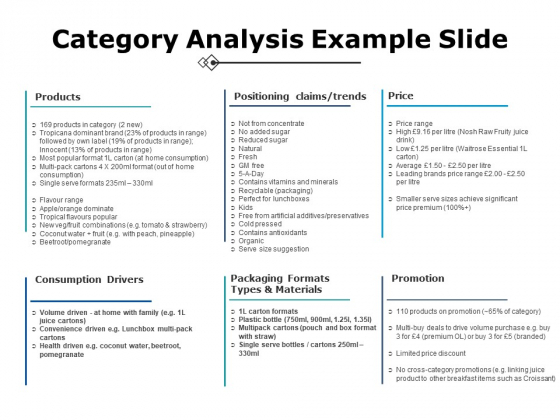 This is a category analysis example slide ppt powerpoint presentation file infographics. This is a six stage process. The stages in this process are products, price, promotion, consumption drivers, positioning claims. Make friends with our Category Analysis Example Slide Ppt PowerPoint Presentation File Infographics. Just download, type and present. 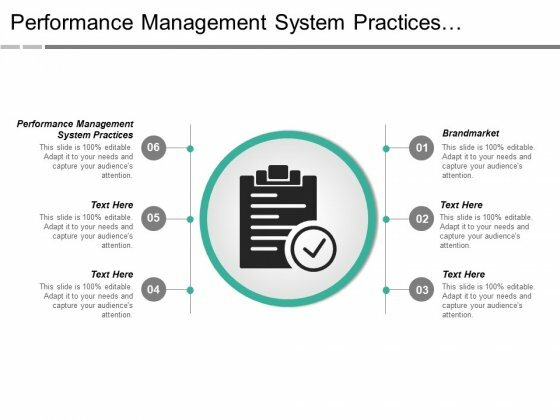 This is a performance management system practices brandmarket ppt powerpoint presentation infographics guidelines. This is a six stage process. The stages in this process are performance management system practices, brandmarket. Meet your targets with our Performance Management System Practices Brandmarket Ppt PowerPoint Presentation Infographics Guidelines. You will come out on top. This is a agenda ppt powerpoint presentation infographics slides. This is a six stage process. The stages in this process are opening, guest check, files distribute, keynote, resume. Look after folks laid low with our Agenda Ppt PowerPoint Presentation Infographics Slides. Be of great help to the ailing. This is a agenda ppt powerpoint presentation visual aids inspiration. This is a six stage process. The stages in this process are business, agenda, management, marketing, planning. Reengineer your vision with our Agenda Ppt PowerPoint Presentation Visual Aids Inspiration. Download without worries with our money back guaranteee. This is a agenda ppt powerpoint presentation styles graphics pictures. This is a six stage process. The stages in this process are agenda, icons, strategy, business, management. Deploy goals with our Agenda Ppt PowerPoint Presentation Styles Graphics Pictures. Download without worries with our money back guaranteee. 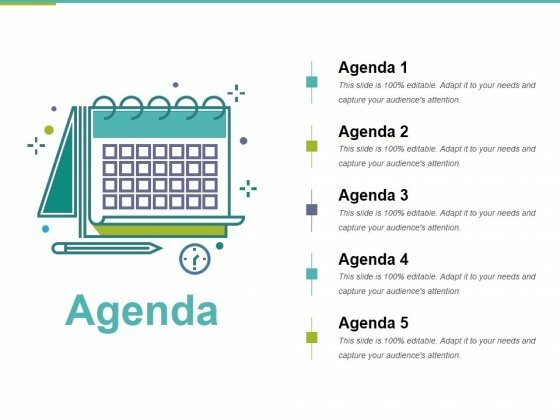 This is a agenda ppt powerpoint presentation infographic template design ideas. This is a six stage process. The stages in this process are agenda, business, management, marketing. 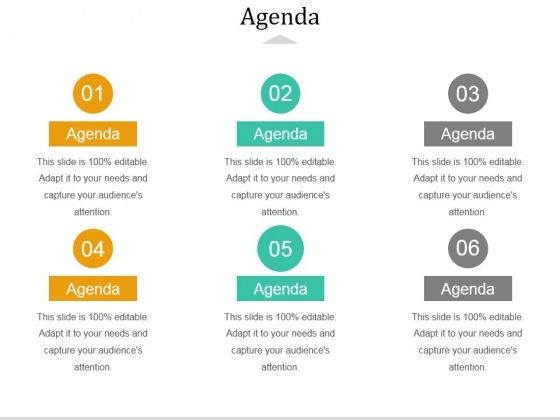 Make it clear your product is the best with our Agenda Ppt PowerPoint Presentation Infographic Template Design Ideas. Just download, type and present. This is a agenda ppt powerpoint presentation icon rules. This is a six stage process. The stages in this process are agenda. 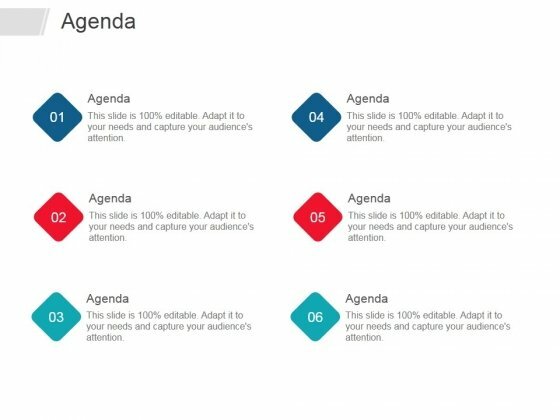 With our Agenda Ppt PowerPoint Presentation Icon Rules you won't bat an eyelid. Display your ability with equanimity. This is a financial analysis ppt powerpoint presentation layouts visual aids. This is a six stage process. 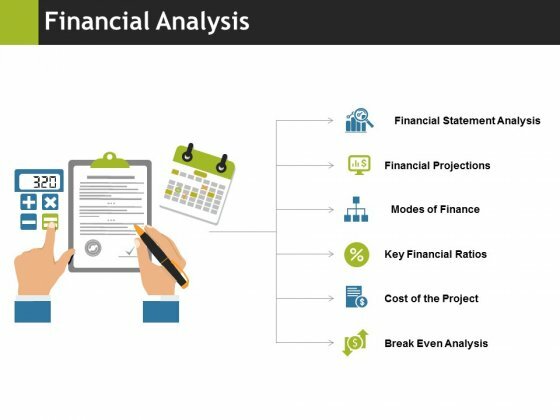 The stages in this process are financial statement analysis, financial projections, modes of finance, key financial ratios, cost of the project. Our Financial Analysis Ppt PowerPoint Presentation Layouts Visual Aids help you think on your feet. They provide you with ready answers. This is a agenda template 5 ppt powerpoint presentation pictures layouts. This is a six stage process. The stages in this process are agenda, planning, management, business, success, checklist. 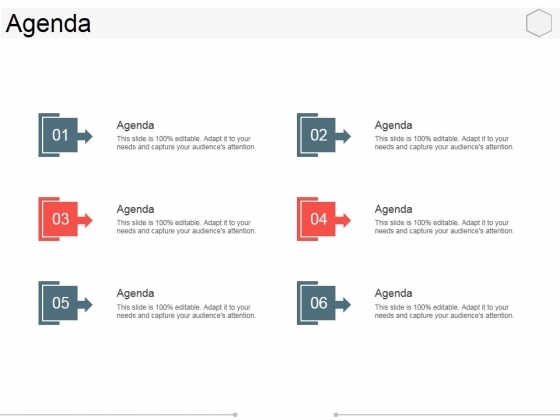 Meet your targets with our Agenda Template 5 Ppt PowerPoint Presentation Pictures Layouts. You will come out on top. This is a sales performance ppt powerpoint presentation infographics visuals. This is a six stage process. 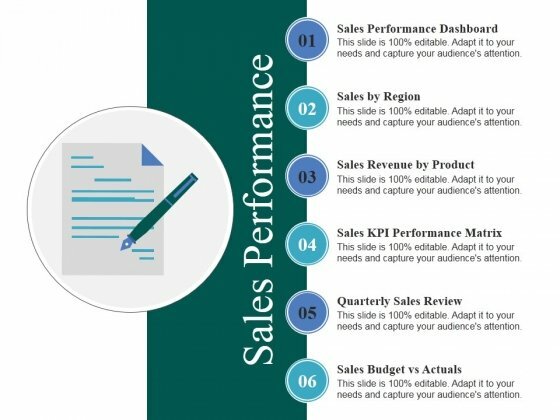 The stages in this process are sales by region, sales revenue by product, sales kpi performance matrix, quarterly sales review, sales budget vs actuals. Let your ideas explode on the scene. Trigger the fuse with our Sales Performance Ppt PowerPoint Presentation Infographics Visuals. 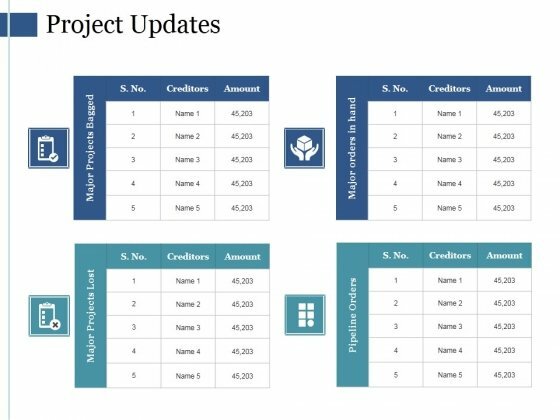 This is a project updates template ppt powerpoint presentation file graphic images. This is a six stage process. The stages in this process are sales funnel results, sales process map, top clients, project updates, sales channel kpi tracker. Experience a high with our Project Updates Template Ppt PowerPoint Presentation File Graphic Images. Let your thoughts soar in the air. 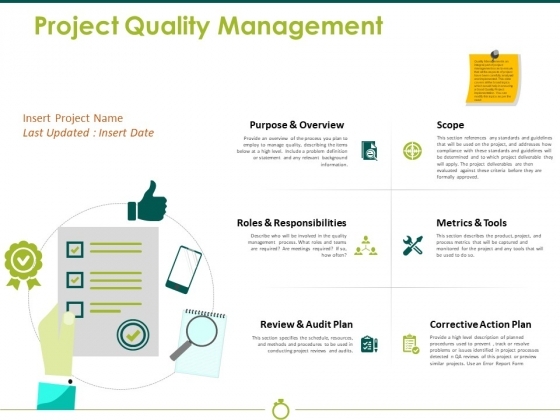 This is a project quality management ppt powerpoint presentation ideas microsoft. This is a six stage process. The stages in this process are scope, metrics and tools, corrective action plan, review and audit plan, roles and responsibilities. Enter onto your new path with our Project Quality Management Ppt PowerPoint Presentation Ideas Microsoft. Your thoughts will make a solid beginning. This is a product idea screening ppt powerpoint presentation layouts microsoft. This is a six stage process. 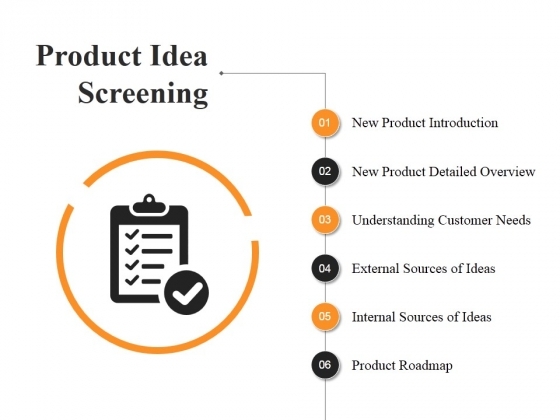 The stages in this process are new product introduction, external sources of ideas, internal sources of ideas, product roadmap. The earth is facing an energy crisis. Contribute to the answers with our Product Idea Screening Ppt PowerPoint Presentation Layouts Microsoft. This is a introduction ppt powerpoint presentation inspiration graphic tips. This is a six stage process. 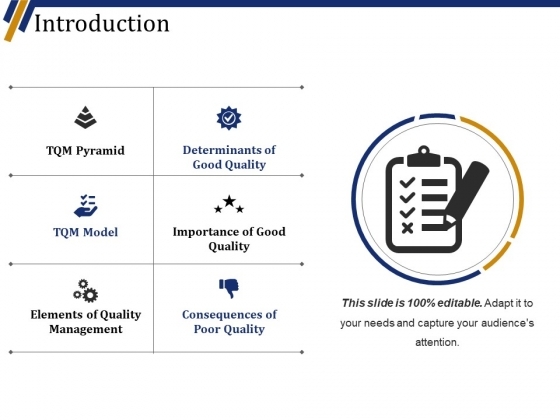 The stages in this process are determinants of good quality, importance of good quality, consequences of poor quality, elements of quality management, tqm model. Ensure committed individuals get elected with our Introduction Ppt PowerPoint Presentation Inspiration Graphic Tips. Campaign for loyal folk. This is a agenda ppt powerpoint presentation outline graphics tutorials. This is a six stage process. The stages in this process are agenda, business, plan, marketing, management. Our Agenda Ppt PowerPoint Presentation Outline Graphics Tutorials increase the level of devotion around. It helps build a loyal following. This is a introduction ppt powerpoint presentation pictures template. This is a six stage process. 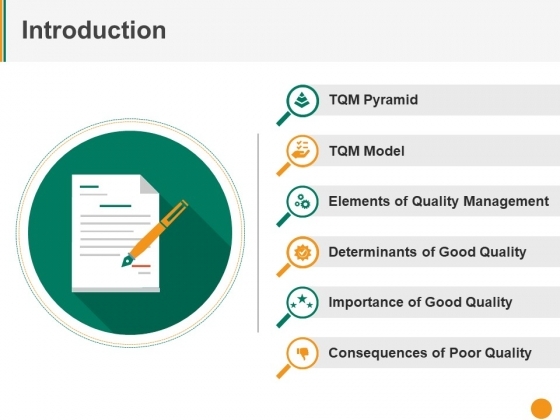 The stages in this process are elements of quality management, determinants of good quality, importance of good quality, consequences of poor quality, tqm model. Come cross as an earnest individual with our Introduction Ppt PowerPoint Presentation Pictures Template. Behave in a loyal fashion. This is a agenda ppt powerpoint presentation portfolio model. This is a six stage process. The stages in this process are agenda, planning, management, strategy, business. Get down to business fast. Put down the accelerator with our Agenda Ppt PowerPoint Presentation Portfolio Model. 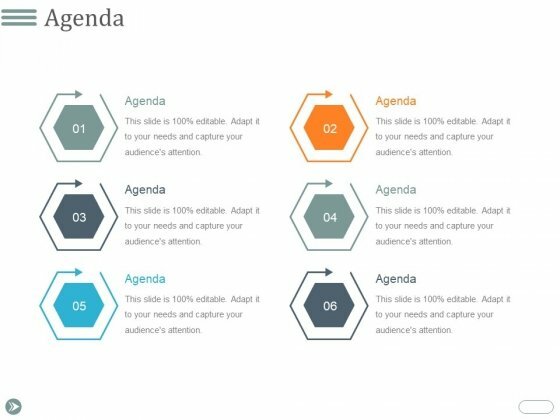 This is a agenda ppt powerpoint presentation infographics template. This is a six stage process. The stages in this process are agenda, business, marketing, management, strategy. 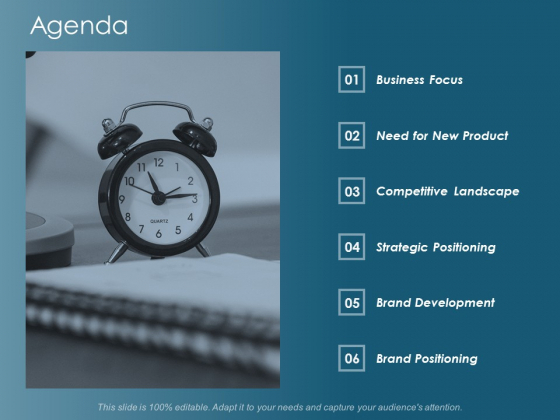 Start emerging business ventures with our Agenda Ppt PowerPoint Presentation Infographics Template. They will make you look good. 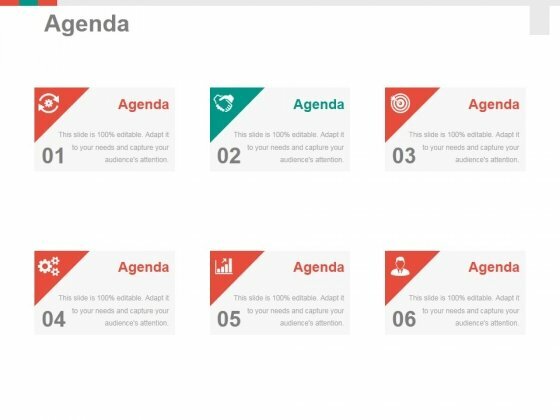 This is a agenda ppt powerpoint presentation portfolio examples. This is a six stage process. The stages in this process are agenda, planning, management, strategy, business. 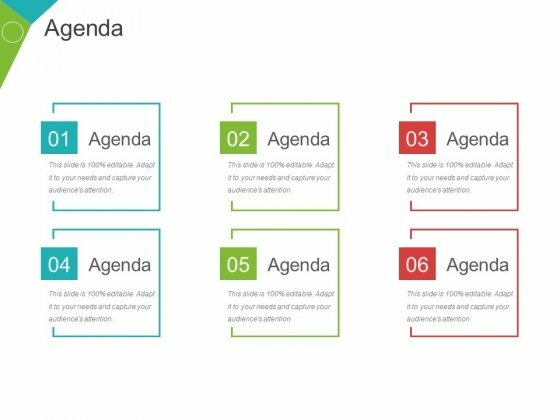 Achieve high-growth with our Agenda Ppt PowerPoint Presentation Portfolio Examples. They will make you look good. This is a agenda ppt powerpoint presentation inspiration layouts. This is a six stage process. The stages in this process are agenda, plan, marketing, management, business. 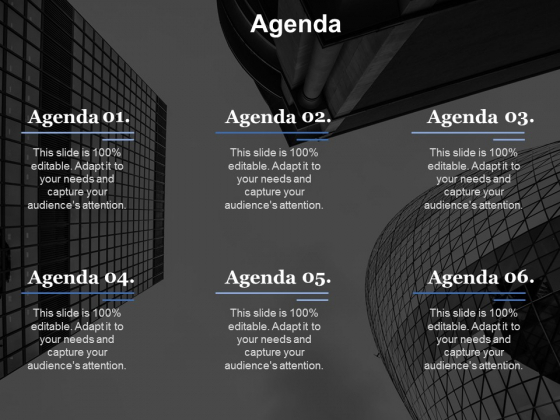 Be a master with our Agenda Ppt PowerPoint Presentation Inspiration Layouts. You will come out on top. 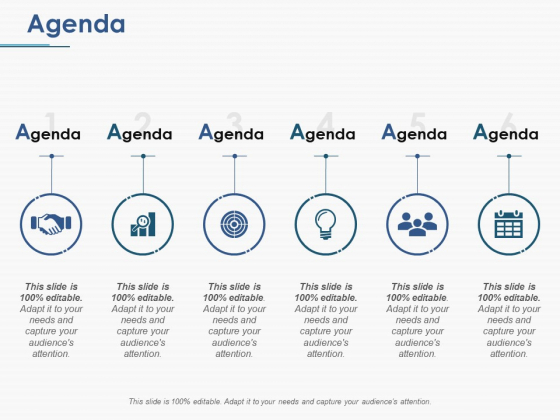 This is a agenda ppt powerpoint presentation infographic template deck. This is a six stage process. The stages in this process are agenda, planning, strategy, management, business. Address them in your charismatic style. 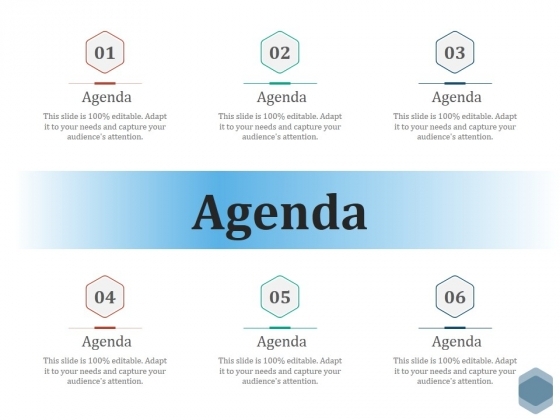 Boost your aura with our Agenda Ppt PowerPoint Presentation Infographic Template Deck. This is a agenda ppt powerpoint presentation layouts gridlines. This is a six stage process. The stages in this process are agenda. 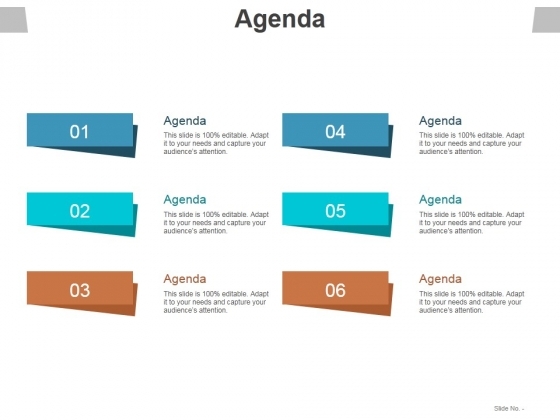 Take control with our Agenda Ppt PowerPoint Presentation Layouts Gridlines. Do not be fatalistic in your approach. This is a agenda ppt powerpoint presentation outline example topics. This is a six stage process. The stages in this process are agenda, business, planning, management, success. 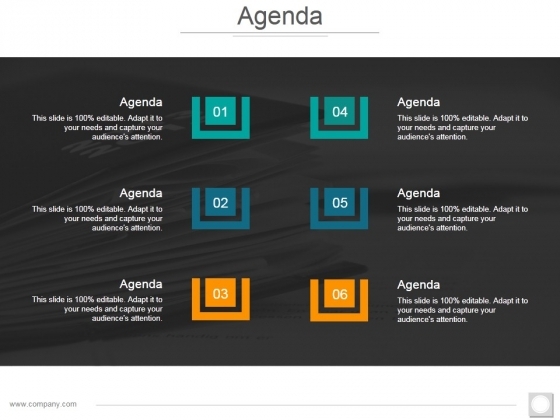 Arrive at a complete consensus with our Agenda Ppt PowerPoint Presentation Outline Example Topics. The audience will put all differences aside. This is a agenda ppt powerpoint presentation layouts vector. This is a six stage process. The stages in this process are agenda, management, business, marketing. 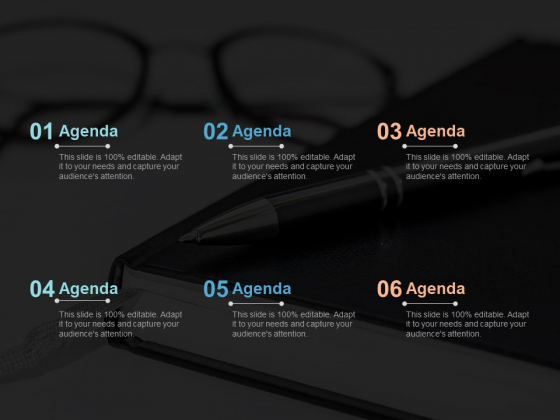 Be far sighted with our Agenda Ppt PowerPoint Presentation Layouts Vector. They help you chart out a credible course. This is a agenda ppt powerpoint presentation inspiration display. This is a six stage process. The stages in this process are agenda, plan, business, marketing, management. Cross continents with our Agenda Ppt PowerPoint Presentation Inspiration Display. Your thoughts will cover the earth. This is a agenda ppt powerpoint presentation professional clipart. This is a six stage process. The stages in this process are agenda, business, marketing, strategy, management. 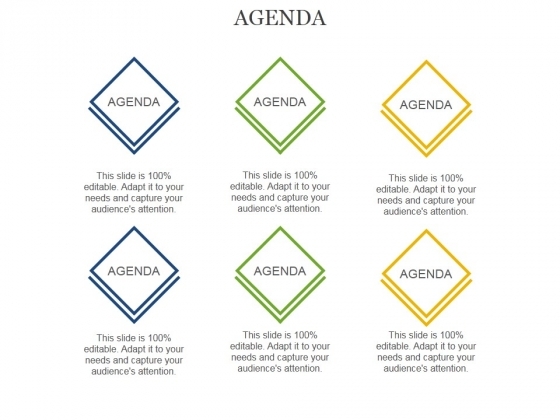 Set a good example with our agenda ppt powerpoint presentation professional clipart. Be the benchmark for others to follow. 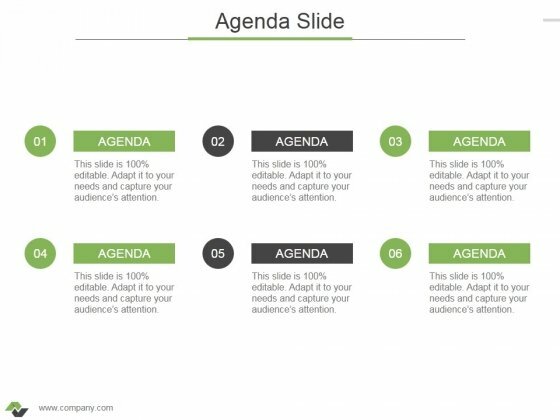 This is a agenda ppt powerpoint presentation styles deck. This is a six stage process. The stages in this process are agenda. If special facilities is the need of the hour? 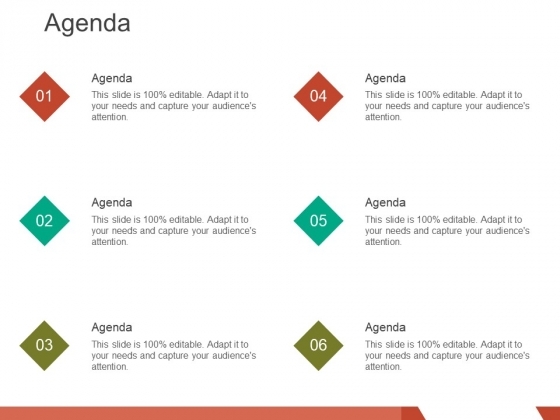 Be assured our Agenda Ppt PowerPoint Presentation Styles Deck will not disappoint. 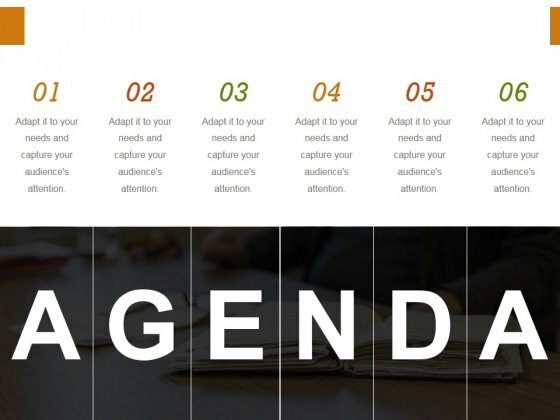 This is a agenda ppt powerpoint presentation slides designs download. This is a six stage process. The stages in this process are agenda, business, plan, marketing, management. The audience will always evince interest. Our Agenda Ppt PowerPoint Presentation Slides Designs Download will make them apply their minds. This is a agenda ppt powerpoint presentation file objects. This is a six stage process. The stages in this process are agenda, planning, management, strategy, business. Take your thoughts on an interesting escapade. Our Agenda Ppt PowerPoint Presentation File Objects will give them a sense of adventure. 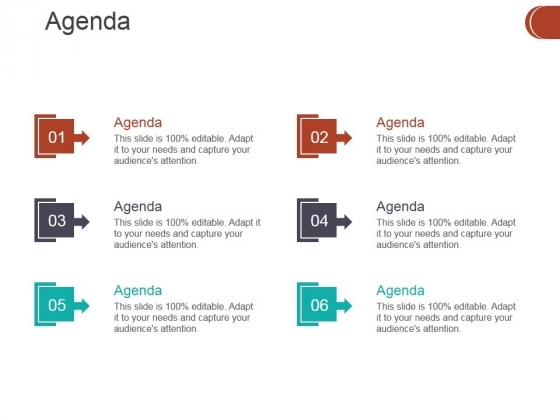 This is a agenda ppt powerpoint presentation portfolio graphics template. This is a six stage process. The stages in this process are agenda, management, marketing, business. Gain entry into a special world. 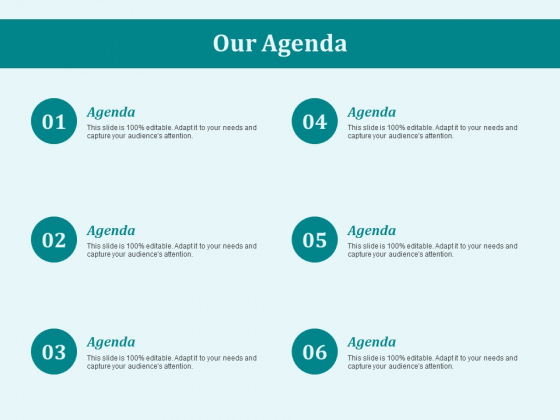 Our Agenda Ppt PowerPoint Presentation Portfolio Graphics Template will ease the passage. This is a agenda ppt powerpoint presentation model graphics example. This is a six stage process. The stages in this process are agenda, business, management, success, planning. The loyal feel their devotion has been acknowledged due to our Agenda Ppt PowerPoint Presentation Model Graphics Example. They acquire a feeling of fulfilment. This is a agenda ppt powerpoint presentation gallery visuals. This is a six stage process. The stages in this process are agenda, planning, management, strategy, business, success. 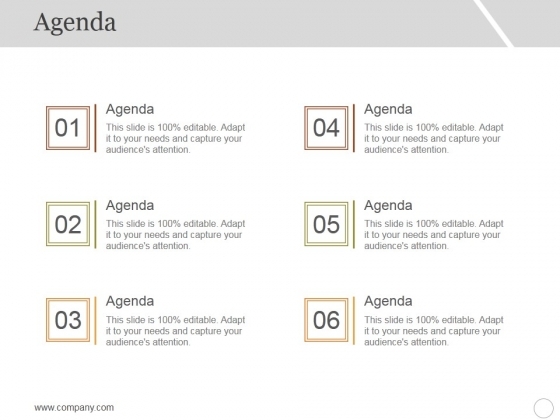 Highlight loyal deeds with our Agenda Ppt PowerPoint Presentation Gallery Visuals. Applaud acts of distinct courage. This is a agenda ppt powerpoint presentation show layouts. This is a six stage process. The stages in this process are agenda, business, planning, strategy, management. 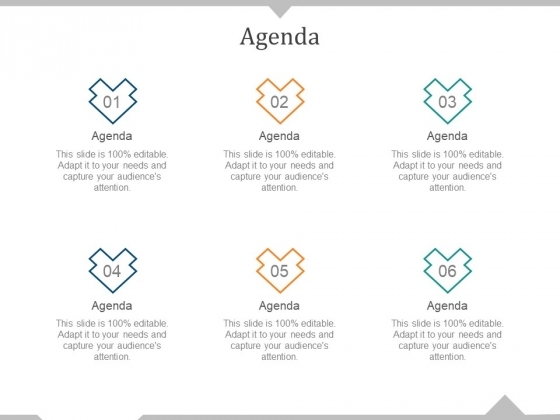 Initiate a dialogue with our Agenda Ppt PowerPoint Presentation Show Layouts. Give folks cause to have a discussion. 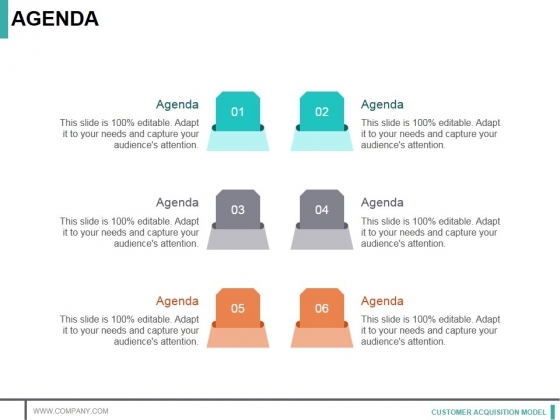 This is a agenda ppt powerpoint presentation infographic template example topics. This is a six stage process. The stages in this process are agenda, business, marketing, management. 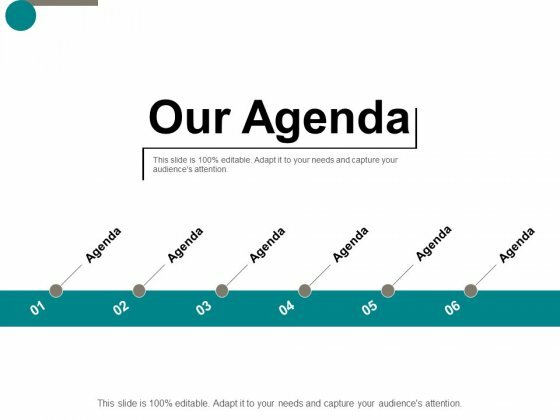 Indicate your desire to lie low with our Agenda Ppt PowerPoint Presentation Infographic Template Example Topics. Be able to keep away from the limelight. 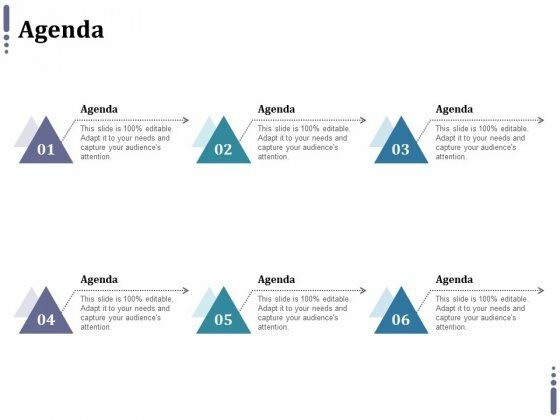 This is a agenda slide ppt powerpoint presentation infographic template graphics. This is a six stage process. The stages in this process are agenda, business, marketing, management. 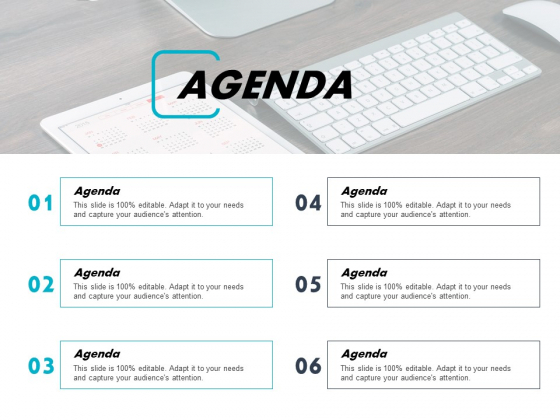 Get the basic benefits in the bag with our Agenda Slide Ppt PowerPoint Presentation Infographic Template Graphics. Be able to grab the low hanging fruit. 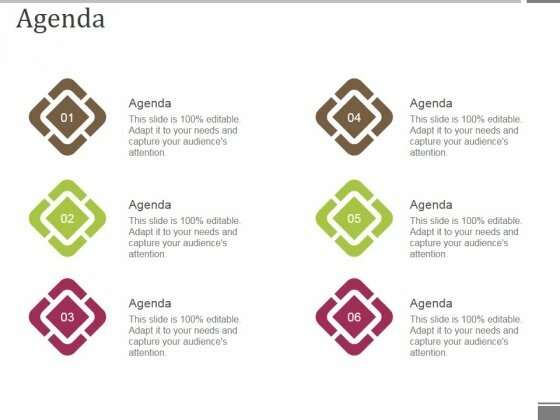 This is a agenda ppt powerpoint presentation icon model. This is a six stage process. The stages in this process are agenda, business, plan, marketing, success. 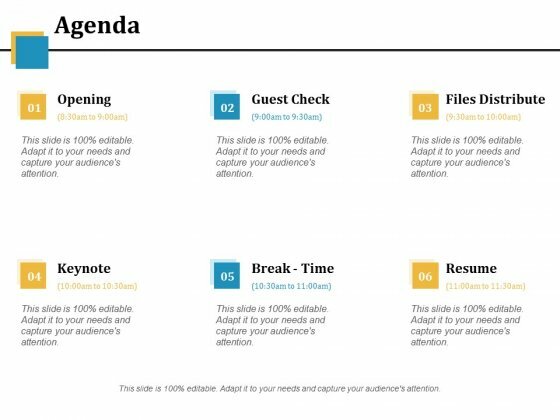 Give a fillip to your plans with our Agenda Ppt PowerPoint Presentation Icon Model. They will get that extra attention you seek. This is a our agenda ppt powerpoint presentation outline slide portrait. This is a six stage process. The stages in this process are agenda, business, list, marketing, management. 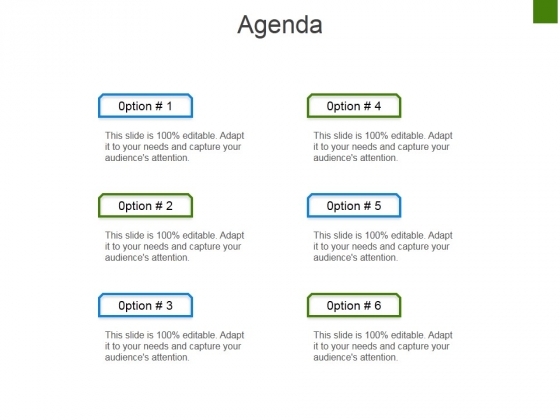 Fight down jealousies with our Our Agenda Ppt PowerPoint Presentation Outline Slide Portrait. Make everyone feel equal with your words. This is a agenda ppt powerpoint presentation portfolio background. This is a six stage process. The stages in this process are agenda. Thwart problems with our Agenda Ppt PowerPoint Presentation Portfolio Background. Download without worries with our money back guaranteee.